Staedtler Pro Grip Premium Maths 8 Piece. Premium math set with pro grips for an easier hold. 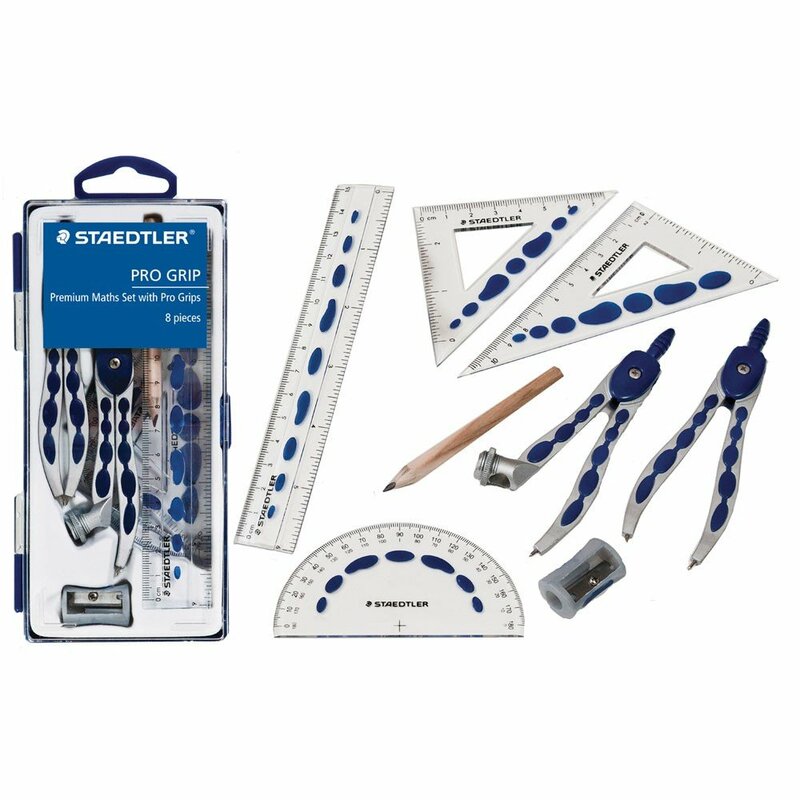 Pro Grip 8 Piece Maths Set contains: Metal compass, single hole sharpener, 45deg;. set square, 60deg;. set square, metal dividers, 15cm clear plastic ruler, 180deg;. protractor & HB pencil. Packed in a sturdy storage case.